For some athletes, it’s not about how your body looks when you go to the beach or take off your shirt around friends. It’s not about how cool your shoes look or how fast you can run a mile. And it’s certainly not about whether or not everyone else around you understands your goals. Instead, for some athletes, lifting weights and working out is a way to focus all of your energy into a goal. For many, that goal is to be a power-lifter. If you get ready for you workout and put a lot of plates on each side of the barbell, you might automatically assume that you are, “powerlifting.” However, powerlifting refers to a specific sport, which revolves around three core lifts. Of course, powerlifters will do other exercises too, as a way to round out their physical prowess. However, the main part of their exercise routines will revolve around maximizing these three lifts. If you are someone who is always pushing for more, then powerlifting may be the sport that was made just for you. Here is a bit more information into powerlifting, so you can have a better understanding of the sport of warriors. Beginning any sort of workout plan can be incredibly intimidating. Think back to your first time in the gym, and how overwhelming it is to be surrounded by free-weights and machines that are unfamiliar to you. Luckily, over time you became more accustomed to working out, training your body, and doing the right things to reach your goals. Now the same approach will need to be made as you set those goals towards powerlifting. In order to better set those goals, you should focus your attention on maximizing three core powerlifting exercises. Those include the benchpress, the squat, and the deadlift. The benchpress is one of the most fundamental lifts for any athlete. That is probably why it’s difficult to find a bench to do benchpress if you go to the gym on a Monday afternoon. That is why you should plan to make sure that you aren’t disrupted when training for benchpress. This is going to be a major lift, and a lot of your upper body strength will depends on your ability to bench. With bench, you will need to make sure that your back, shoulders, and triceps are all strong. That is why this guide is aimed at helping you ensure that you have the best form possible. The squat is often an exercise that many people don’t like doing, but powerlifters will quickly find out that it’s never a good idea to skip leg day. As you are able to squat more, you will build up your core strength in the base of your legs. This will be very beneficial with helping you deadlift, which is another required exercise for powerlifting. Squatting can be one of the most troublesome lifts if you don’t do it correctly. There are countless athletes out there who have plenty of knee problems and issues, due to improper squatting form. That is why it’s vital that you ensure proper lifting technique every time you go to train legs. Finally, the deadlift is the last lift that powerlifters will want to maximize. Deadlifts require a bit of everything, from upper- to lower-body strength, which means they also require the most form. The good news is that, once you get the deadlift down, you’ll notice that you are a much more powerful athlete in general. Now that you have an idea of what each of the core exercises of powerlifting are, lets switch and take a look at some of the important equipment and gear that you’ll need. Along with proper form and technique, the equipment that you use to exercise will help you with your powerlifting goals. A bench, weight rack, and weights. An exercise platform for deadlifts. As you begin to build your home gym, or look for a gym that has the perfect powerlifting equipment, it’s imperative that you put an emphasis towards these three lifting stations. In doing so, you’ll be able to have the most important of elements for powerlifting. Along with the three exercise stations mentioned above, powerlifters also will want to do supplementary exercises as well. Therefore, having additional weights, machines, and space for working out will also be necessary. Powerlifters also require a pair of shoes that will be accommodating to this sort of lifting. For example, there are some shoes out there that have gel soles in the back of the platform. While this can make for added cushion while running, these shoes run the risk of blowing out while squatting or deadlifting. Therefore, make sure that you have a pair of shoes that can accommodate to the sort of lifting that you’ll be doing. Click here to see our top lifting shoes picks!! While powerlifting, athletes should ensure that they are as comfortable as possible. Therefore, avoid having baggy or loose clothing that might get caught up in your motions while exercising. In addition, clothing that is too constricting will limit movement and should be avoided as well. Powerlifters also typically have chalk with them everywhere they go. They will then rub the chalk on their hands before lifting, which helps to add additional grip. Lifting straps, which can be wrapped around the athletes wrists and a dumbbell or barbell, can also be used. However, some powerlifting competitions do not allow lifting straps, and athletes should be aware of this. There is nothing more frustrating than being able to complete a lift during practice, only to come up short because you don’t use the right type of training equipment. The routine doesn’t stop once a powerlifter exits the gym. Instead, they’ll also want to monitor their diet on a regular basis as well. The proper diet for a powerlifter, which will be discussed further later on, should have a heavy balance of protein and carbohydrates. Unlike other athletes, who may look to cut certain foods in order to obtain a particular physique, powerlifters have a much more relaxed diet – assuming it’s not one that is filled with complete junk and garbage. Maintain an above-average amount of consumption, with average types of food, and you’ll notice great results with your lifts. 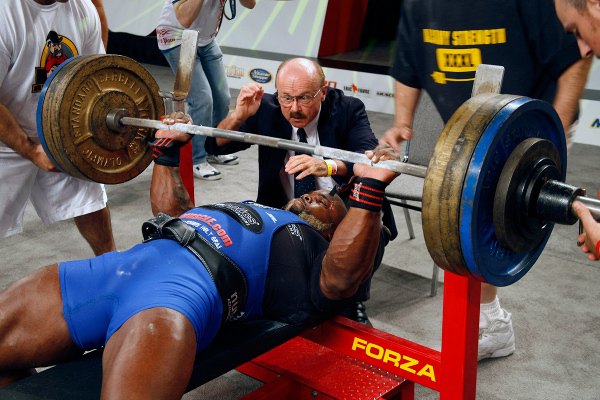 The last part of powerlifting that you’ll want to be aware of includes the rules of the sport. It’s important to know that you can’t just walk into a competition and start throwing weight around however you please. Instead, there is a strict set of rules that powerlifters must stick to. 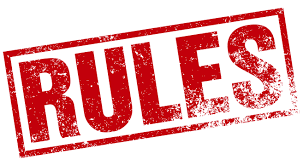 We will go into further detail for the rules in a later post. The rules will look over the type of equipment that athletes are allowed to use, as well as potential supplements and dietary considerations as well. On competition day, each lift has it’s own set of rules. This guide will aim to help you understand the rules, so that you can avoid being disqualified. In addition, the rules will also help you adhere to better form while training, which will aim to avoid injuries and other issues. Are You Ready To Be A Warrior? Powerlifting truly is a sport like none other. Proving that you can heave a certain amount of weight is no small task, and it will surely take plenty of effort to achieve your goals. That being said, the decision to become a powerlifter is one that you won’t soon regret. 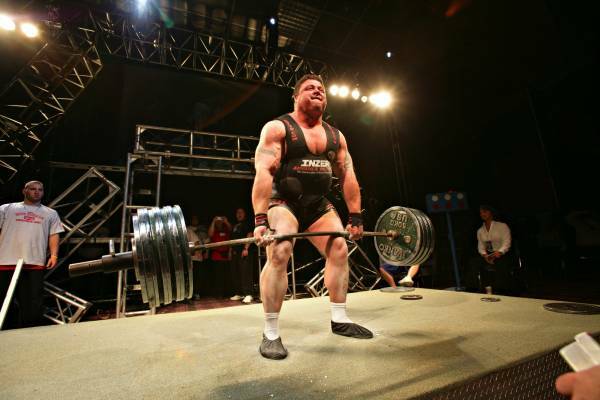 To help you take your prowess to the next level, keep up with the rest of this guide for the sport of powerlifting.